Posted by Sara MacLennan on Wednesday, March 11th, 2015 at 11:41am. Nickelback is among the most popular Canadian bands on tour today, and the group is scheduled to bring its No Fixed Address Tour to Rexall Place in Edmonton on March 13. Nickelback is known for such hits as Animals, Because of You, Breathe, Burn It to the Ground and others. Nickelback will be joined at this concert by The Pretty Reckless. The Pretty Reckless is a popular rock band who will perform hits from its albums Going to Hell and Light Me Up. There are still a few tickets left on sale at Ticketmaster. On March 16, a trio of musical talents will perform at 8pm at Union Hall, delighting musical fans with hard rock and punk rock songs. The Gaslight Anthem will headline the event to support its Get Hurt album. Songs from previous albums will also be performed. Northcote is also scheduled to perform at this event, and this Canadian band will perform songs from its three albums entitled Northcote, Borrowed Chords Tired Eyes and Gather No Dust. Sammy Kay is also scheduled to perform on stage at Union Hall, and he and his band will perform pop rock hits from his most recent albums. 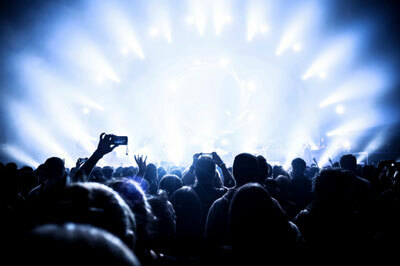 Edmonton music fans will not want to miss out on the musical entertainment scheduled for Rexall Place on March 26. Maroon 5 is among the most popular pop rock bands performing in North America right now. This American group may perform some of its top hits such as She Will Be Loved, This Love, Is Anybody Out There and others. Magic! will also perform with Maroon 5, and this Canadian reggae band will likely perform many of the hits on its debut album entitled Don't Kill The Magic. If you attend this concert, you will also see Rozzi Crane perform on stage. She has previously toured with Parachute and Gavin DeGraw, and some of her albums include Half the Man, Painkiller and Psycho. You may still be able to find a ticket or two at Ticketmaster. These hot concerts are just a few of the many performances that you can make plans to attend in Edmonton this March. Whether you have plans to attend a larger or smaller event, be sure to purchase tickets soon to ensure you have a spot at the show.